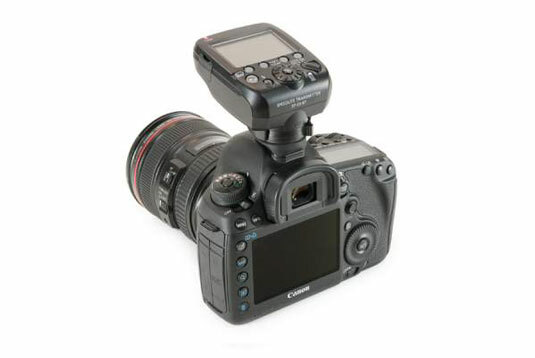 There are several camera-to-flash connections you can make with your dSLR flash. There’s the tried-and-true hot shoe method, but also several other wired and wireless options for you to consider. Each has its own rationale. Remote flash triggers when you move your external flash off-camera (whether wired with cords or connected wirelessly via infrared, optical, or radio signals), it’s called a remote flash or strobe. Unless you’re telekinetic, you’re going to need a way to trigger your off-camera flash. Depending on your camera model and flash, you might be able to choose among one or more of these remote triggering methods. Make sure everything’s compatible; not all cameras support all methods of off-camera flash and not all external flash units can be controlled in every way. If your camera and flash are compatible, setting up a wireless shoot is easy. Set up the camera and flash to work wirelessly and make sure they’re on the same group and channel. Within a few button presses, you’ll be in business. Most midlevel and advanced flash units support one of two types of connectivity. Technically, they’re different, but practically speaking, they act the same. Check the manuals for your camera and external flash to make sure they use the same method. Wireless IR and pulse aren’t compatible with each other. Using either system is as easy as eating cake, and you don’t have to buy anything extra to get it to work. 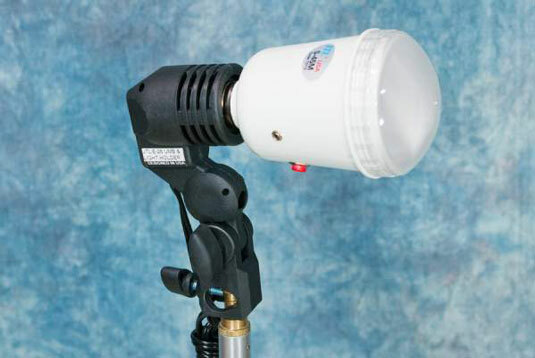 Set up your flash on a light stand or a small flash stand. Set up your camera and flash for Wireless mode. Both types of wireless units can only go so far (and bend at certain angles) from the camera. Make sure the flash and camera are on the same group and channel. Remember to consult your manual for specifics on how to check and change these settings. The group and channel assignment should be visible on the back of the flash unit. You’ll have to find the camera’s settings in the menu. You can also buy a dedicated wireless transmitter. This unit replaces the built-in flash as the method of communication (with enhanced features), or provides the capability for cameras without a flash. If you don’t want your camera’s built-in flash to affect the scene, but do want to use the built-in flash as a wireless trigger, consider buying an IR panel. These panels block the light from the internal flash but allow the infrared signal to pass and trigger the external unit. You can try wireless radio remote flash triggers. In this case, transmitters send out radio signals that connect your camera with an external flash. 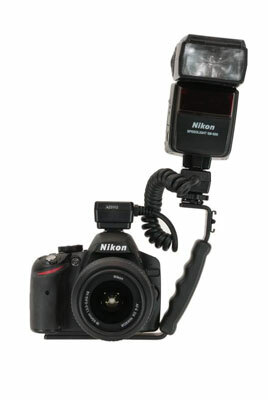 Put the transmitter on your camera’s hot shoe, and put the receiver on your flash unit. Third-party makers such as PocketWizard offer wireless radio. Camera manufacturers are following suit. Radio systems can support multiple flash units as long as you have enough receivers, but wireless radio can get expensive the more flashes you have to control. Radio has a longer range and better placement options (it doesn’t have to be in front of the transmitter) than wireless IR. This wireless option relies on a slave unit sensing the optical flash (in this case, you can see it; you can’t see infrared or radio waves) from a master (or another flash) unit and then triggering the flash it’s attached to. Sync cord: One solution (it’s getting rare) to connecting your camera to an external flash is to wire them together using sync cords. Not all flash units have sync cord sockets. Most often, you have to buy the most expensive unit a manufacturer makes to get one. Off-camera cord: You can buy different types of cords that let you take your flash off the camera. Although technically they aren’t sync cords, these cords serve the same purpose: Attach one end to the camera’s hot shoe and the other end to the flash’s mounting foot. Presto — they’re connected. This type of cord is a workaround for not having a sync cord terminal on your flash. This setup is useful if you want to use fast shutter speeds with your external flash unit but want to position it off-camera. Wireless setups may not support the shutter speed you need. If not, use an off-camera cord. Shorter cords let you mount your flash on a bracket that attaches to your tripod.